The Kennett Consolidated School District celebrates Kennett Middle School teacher Mr. Philip Reggio, who was named the Citadel Heart of Learning award recipient for the middle school level! Mr. Reggio is a sixth-grade social studies teacher, sixth-grade social studies enrichment teacher, the gifted resource teacher, and the middle school honors program coordinator. He has been working in the Kennett Consolidated School District for 18 years. Educators that have played a positive role in Mr. Reggio’s educational career include: Mrs. Donna Marino-Phillips (MDL teacher and mentor), Mrs. Susan Yocum (NG teacher and mentor), Dr. Christopher Hancock (KMS teacher and mentor), Mr. Andy Augustine (retired educator), Mr. Wrosch (English teacher, Clintondale High School), Mrs. Delores Montreuil (mentor), Dr. James Schmiechen (professor, Central Michigan University), Dr. Phillip Dillman (professor, Central Michigan University), Mrs. Sperrick (teacher, Little Mack Elementary School), Mrs. Pitt (teacher, Clintondale Middle School), and Mr. Gregory Koczak (mentor). Mr. Reggio believes that it’s the “teachable” moments that present themselves unexpectedly that he enjoys most about teaching. Now in its 13th year, the Citadel Heart of Learning Award recognizes and shows thanks to teachers, while raising awareness of the importance of their hard work and dedication. Public education is more than just learning the basic math, science, English, and history; it’s a platform for students to reach their potential. It inspires hope for a new generation and a successful future. The Kennett Consolidated School District exists in part because individuals volunteer their time to make informed decisions about the issues facing public schools. 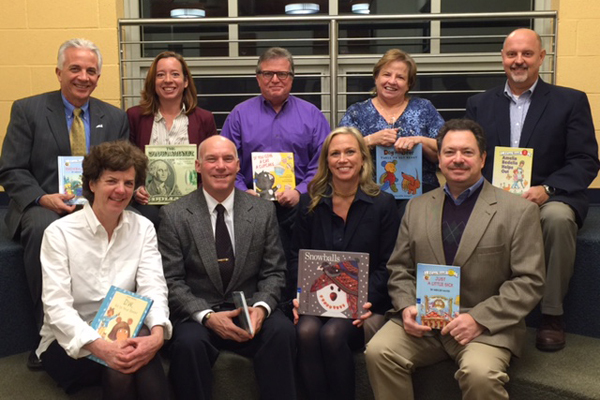 Each January, we pause to express our appreciation for a very special group of volunteers: our school Board members. Usually, we don’t think of school Board members as school volunteers, but they do in fact volunteer to serve. School Board members give their time, energy, and counsel to the District without pay. 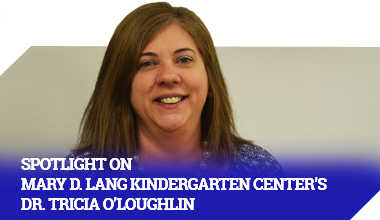 They take on the job of governing the District, making the best decisions they can for our children, with the full understanding that they will receive only the satisfaction of their contribution. That contribution, however, should not be understated. The volunteer efforts of the school Board members have the potential for tremendous benefit to the community as a whole and to the lives of the students individually. By serving the District in this important governance role, school Board members lay the foundation for the future. The men and women who make the time to generously provide this important public service do so because they care. They care about their own children’s education. They care about the schools being the best they can be. They care about the next generation and the future of the community. School Board members work hard, unpaid and behind the scenes, to guide the District in providing a quality education to more than 4,100 students. They spend more than 20 hours a month crunching numbers to set budgets, reviewing new curriculums and selecting textbooks, and making the hard calls. January is School Board Recognition Month and the Kennett Consolidated School District salutes this special group of volunteers — the nine elected members of the school Board. These dedicated volunteers reside in our community. They are our friends, neighbors, community leaders, parents at our schools, and engaged senior citizens. During this month of recognition, we ask you, the school directors’ fellow community members, to show your appreciation for their service. Please show your gratitude in some way for their time, effort, and dedication to public education’s advancement. Thank them for advocating for student success and for making the difficult decisions. Most importantly, thank them for being everyday heroes and making our students’ success their priority.